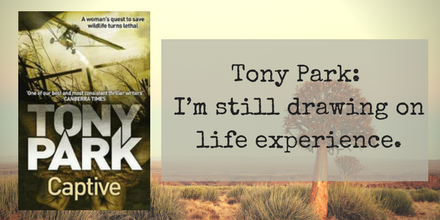 Australian Author Tony Park was born in 1964 and grew up in the western suburbs of Sydney. He has worked as a newspaper reporter in Australia and England, a government press secretary, a public relations consultant, and freelance writer. 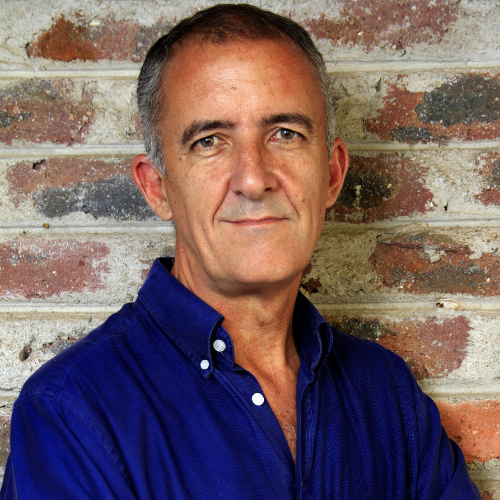 His novels have been acclaimed bestsellers since his very first, Far Horizon. 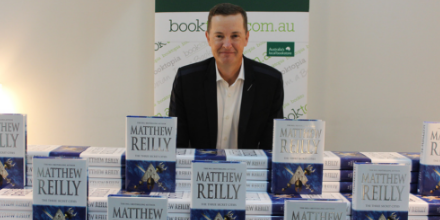 He is also a Major in the Australian Army Reserve and served six months in Afghanistan in 2002 as the public affairs officer for the Australian ground forces. Hold My Hand I’m Dying by the late John Gordon-Davis. This was the first novel set in Africa that I ever read and it’s still the best. The book is set in Rhodesia (now Zimbabwe) at the time of the country’s Bush War. As well as being a remarkable snapshot of the time, it captures the essence of Africa, a continent of incredible beauty and terrible tragedy. It’s a love story and at the same time raw, racy and real. Outside of my family, Nelson Mandela. He was a convicted terrorist who forgave his captors and did more than any other politician I can think of to unite people, rather than divide them. I also admire him because he is the only politician I can think of (perhaps in the history of the world) to quit while he was ahead. What is the biggest challenge you have ever faced? Getting help for some issues I was having. I went to war, in Afghanistan, as an Army Reservist for six months in 2002. It was the longest I had ever been away from home. I served mostly behind a desk and no Australians were killed or injured during my time, for which I was incredibly thankful. As the war went on, however, many Australian service people were killed, or suffered physical and mental injuries. Friends of mine were affected. For a long time, until I sought help, I felt guilty that I had survived and ashamed for not doing more. I drank too much to try and feel better. A psychotherapist friend suggested I seek help, and I did. I found out that what I was feeling was quite common, for people who have survived while others have fallen. I feel better about my service now and I’ve taken a volunteer position, doing PR for a charity called Veterans for Wildlife that pairs military veterans with anti-poaching and conservation programs in Africa. Giving something back, helping others, helps, and I try to highlight the issue of post-traumatic stress disorder and other mental health issues in my thrillers. If you’re having problems, if you know you’re on the wrong path, stop and ask for directions. There are people out there who can help you find your way. Do you have any unusual writing and/or reading habits? I have a daily quota of words that I have to write, but I never, ever finish at the end of a chapter. There’s nothing worse than being confronted by a blank page the next day, so even if my quota ends at the end of a chapter I write the first couple of lines of the next chapter. I try to stop mid-paragraph, mid-sentence, so it’s easier to get started next day. One of my favourite things is to have a beer in bed while reading. 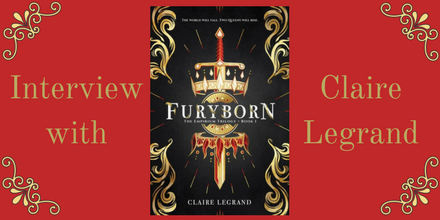 What do you hope readers will discover in you latest book? Scent of Fear is about tracker dogs and their handlers employed in the war against poaching in Africa. I learned some interesting facts about dogs and how they work, which I think people might find interesting, but most of all I hope readers get an increased awareness not only of the scale of the poaching problem in Africa, but the good work being done by men, women and dogs to protect wildlife. There’s a war going on in parts of Africa and the human and animal warriors need all the support they can get. If your latest book had a theme song, what would it be? 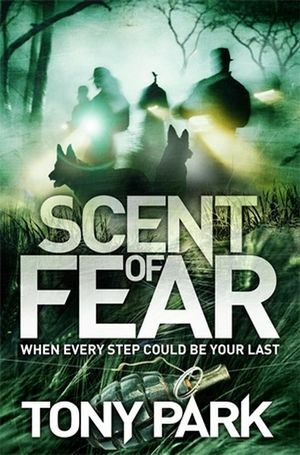 Scent of Fear by Tony Park will be published on the 27th of November by Pan Macmillan Australia and his available to order from Booktopia. Afghanistan veteran Sean Bourke's world explodes when an IED detonates in South Africa's Sabi Sand Game Reserve. On a routine anti-poaching patrol, Sean and his tracker dog Benny watch in horror as over-eager rookie Tumi Mabasa is almost killed and her dog gravely injured in the explosion. Along with Tumi and best mate Craig Hoddy, Sean is determined to hunt down the elusive bombmaker who has introduced this destructive weapon to the war on poaching. But Sean is his own worst enemy. Haunted by nightmares of the war and racked with guilt from driving away his ex-wife, Christine, he soon discovers she and Craig are in the midst of an intense affair. And there's another enemy at play... As bombs target Sean's team, can he get himself back on track and win the fight for Africa's wildlife - and Christine - before it's too late?